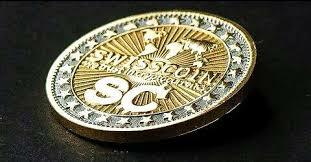 Some couple of months ago, I published a post on how to earn free 100 coin on swisscoin by just filling a form. Last week, an anouncement was madeon SwissCoin website in a move to make it more easier for new members who are really interested in securing their future by investing on swisscoin. For this reason, Swisscoin has started by terminating the compulsory €25 enrollment fee for new swisscoin investors. Amazing! This means that new members can get started buy purchasing the lowest pack of €25 ($26.39) without paying the enrollment fee which is now100% free. So Guys, there is no much time to spare. Sign up and become an active member for as little as €25 and do so now because the Split Indicator has reached 99% (and will reach 100% any day from now). Take action and don't be left behind. The coin is valued at only €0.08 and is set to reach up to €10.00 during 2017. A €25 investment will give you 200 Tokens which will become 400 Tokens when the Split Indicator reaches 100%. All 400 Tokens will be placed in mining automatically and, with the difficulty level at only 2/1 meaning you are gonna need 2 tokens to mine 1 coin, you will receive 200 SwissCoins. For more details on that please go through this post on brakdown of swisscoin mining. Don't miss out on:-TrumpCoin-A crypto currency to rebuild America. Now imagine, you invested only €25 and you received 200 SwissCoins - the very 200 SwissCoins which will be worth €2,000.00 when the value hits €10. Join now and get started for only €25 by clicking here. Don't forget to checkout How To Fund Your Swisscoin Account with OKpay.com also check out the new crypto currency valued at €136 and how to get it cheaper.